Cruise lines are expanding their culinary offerings, utilising expert chefs and unique ingredients to make your stay on-board deliciously delightful. From Champagne brunches and afternoon teas to exclusively-designed menus and innovative animation, these are some of our top fine dining experiences at sea. Following the launch of Celebrity Edge, dining with Celebrity Cruises features a number of never-before-seen innovations. 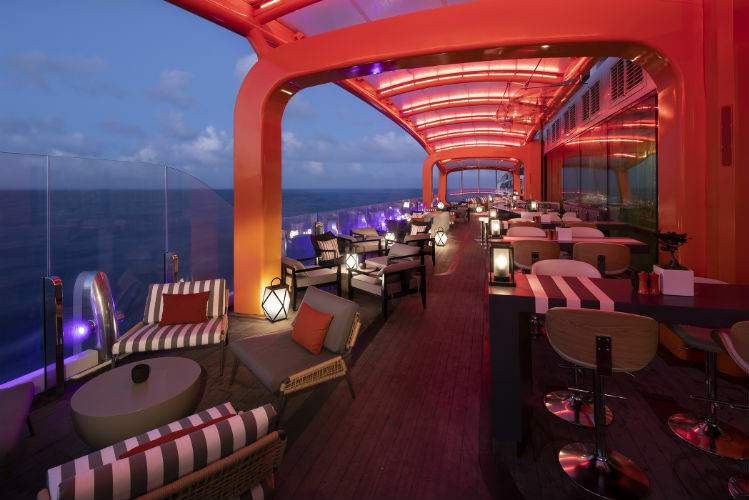 Celebrity Edge includes 29 distinctive restaurants, cafes, bars and lounges – each one designed to capture the attention of food-lovers. The Magic Carpet is one of these revolutionary venues – a cantilevered moving platform that moves between 14 storeys. The ambience of the Magic Carpet changes between an extension of Raw on 5 which becomes an open-air casual seafood restaurant; Dinner on the Edge for an al fresco sky-high restaurant; an outdoor lounge; spacious tender embarkation area; and a bar alongside the pool deck. Another extraordinary dining venue includes Le Grand Bistro, which is designed to transport you to the heart of Paris. One of the highlights of this restaurant is the Le Petit Chef who will bring your tabletop to life using innovative technology. An animated character prepares each course in front of your eyes in an immersive mind-blowing fusion of entertainment and dining like you’ve never seen before! P&O Cruises holds a history of using Michelin-starred chefs on their cruise line. Atul Kochar created the menu for the Indian restaurants, Sindhu and bar menu, Nashta; while Marco Pierre White has been a consultant of P&O Cruises over the last decade. Marco Pierre White has recently been involved with the production of new gala menus for the cruise line’s Black Tie evenings, with dishes including beef wellingtons and half split lobsters. His efforts have also led to the creation of signature restaurants including the Cafe Jardin on-board Oceana; the Cafe Bordeauz on-board Aurora; and the Ocean Grill on-board Arcadia. In September 2018, P&O Cruises also announced that the chef will be joining guests on-board Britannia as part of its cooking school initiative, The Cookery Club. Haute cuisine and Disney Cruise Line may not seem like the perfect pairing, but the cruise line offers a number of sensational dining options to remember. Disney Cruise Line also offers a rotational dining plan which means guests are able to dine in a new venue every evening. One of the key restaurants is named after a character from the Disney film Ratatouille – Remy – and serves French-inspired gourmet fare. The venue is adults-only and offers Champagne brunch, a small plates menu (Petites Assiettes de Remy) and a dessert experience (Remy Featuring Pompidou’s Patisseries Dessert Experience’). 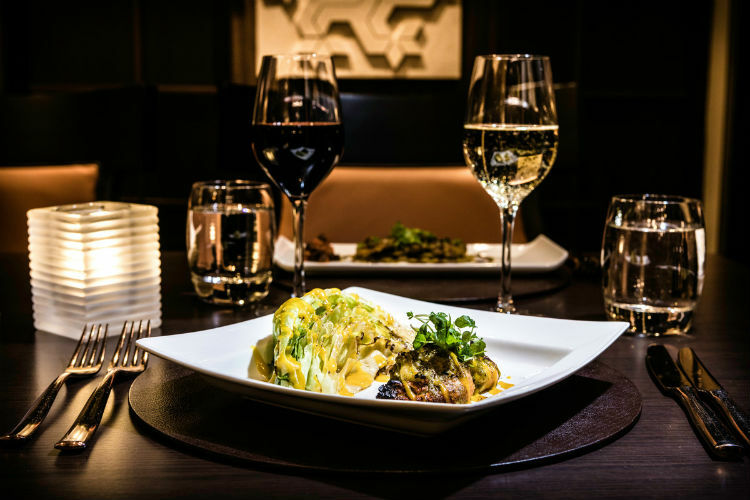 Artfully prepared dishes include langoustine, duck, elk, sablefish and Kobe beef. 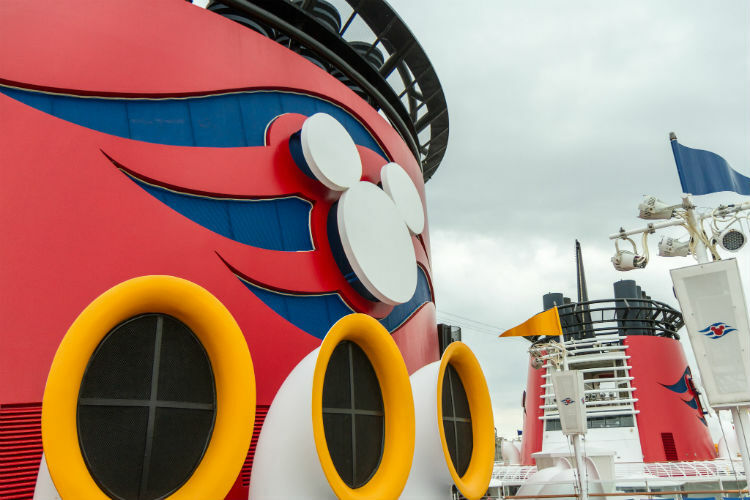 This venue is available on-board Disney Dream and Disney Fantasy and would need to be booked well in advance for a space. 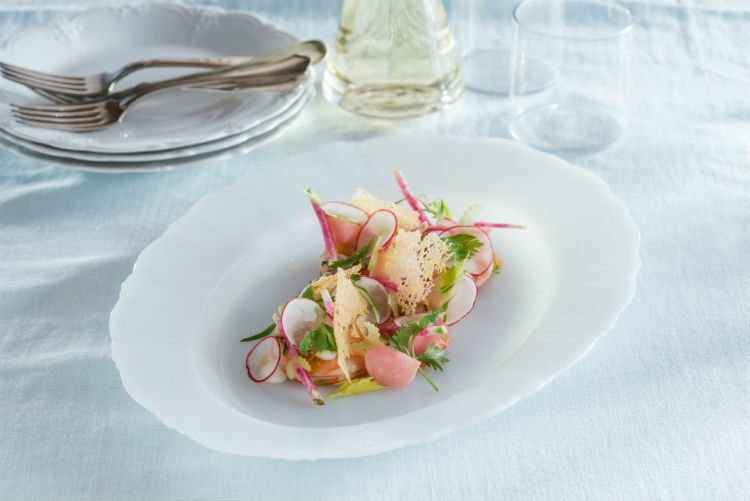 The menu is produced seasonally by both Arnaud Lallement, whose previous works include the 3* L’Assiette Champenoise in France; and Scott Hunnel, who heads the Victoria & Albert restaurant at Walt Disney World. MSC Cruises partnered with award-winning Spanish chef, Ramón Freixa in March 2018, in order to prepare a selection of tapas and main dishes celebrating Spanish cuisine. Frexia also joins five other international chefs which are also partnered with the cruise line. 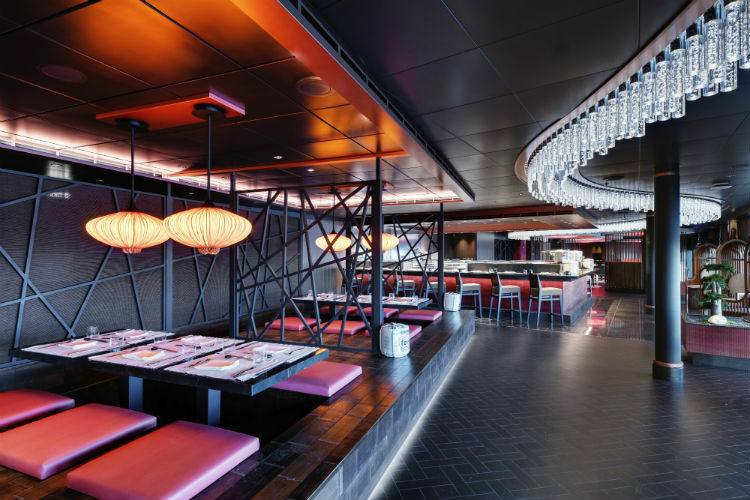 One of these includes Japanese-American chef, Roy Yamaguchi who has helped create MSC Seaside’s Asian Market Kitchen – featuring a sushi/raw bar, teppanyaki grill, and an Asian-fusion restaurant. The cruise line is also in the process of implementing the MasterChef at Sea programme fleetwide, a new competition for young chefs. Offering a fresh approach to fine dining, Princess Cruises’ has introduced a six-course dining experience headed up by award-winning chef, Curtis Stone. SHARE presents Stone’s world-class dining unlike anything else you will find at sea. Each course is fresh, beginning with a starter, followed by salad and handmade pasta, main courses inspired by land, sea or garden, finished with a decadent dessert. The venue is currently only available on Ruby Princess, Emerald Princess and Sun Princess. 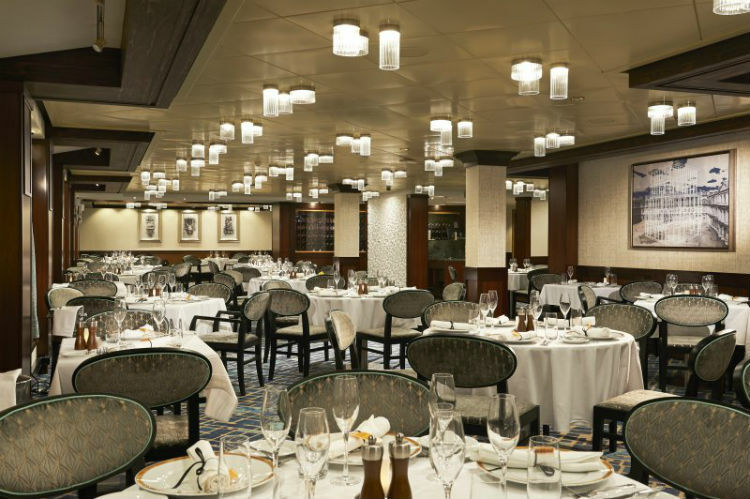 Guests sailing on other ships can also experience the fresh cuisine in the Main Dining Room which includes accents of the the SHARE restaurant on its menus. Sophistication is widely served in Norwegian Cruise Line’s Le Bistro, the most elegant and formal restaurant in the fleet. Le Bistro promises an upscale dining experience with crisp white linens, an intimate atmosphere and attentive service, there is also oceanfront seating available on the cruise line’s Breakaway and Breakaway Plus Class ships. Enjoy white glove service as the restaurant offers a contemporary take on classic French cuisine, with chic decor and plates of rich French cuisine such as bouillabaisse and côte de boeuf. Like the sound of these delicious dining venues? 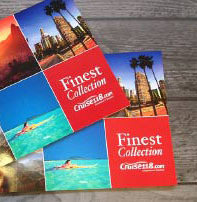 Take a look at our top cruise deals on Cruise118.com where you can find our bestselling sailings and itineraries, many of which feature these innovative and unique dining experiences. For more information about these cruise lines, or help with your booking, call our Cruise Concierge team on 0808 1234 118 for expert advice on fine dining and award-winning customer service with your booking.